Thanks go out to Anthony and the staff at All About Food, for graciously and enthusiastically collaborating on this event to help raise awareness for the importance of early learning literacy. 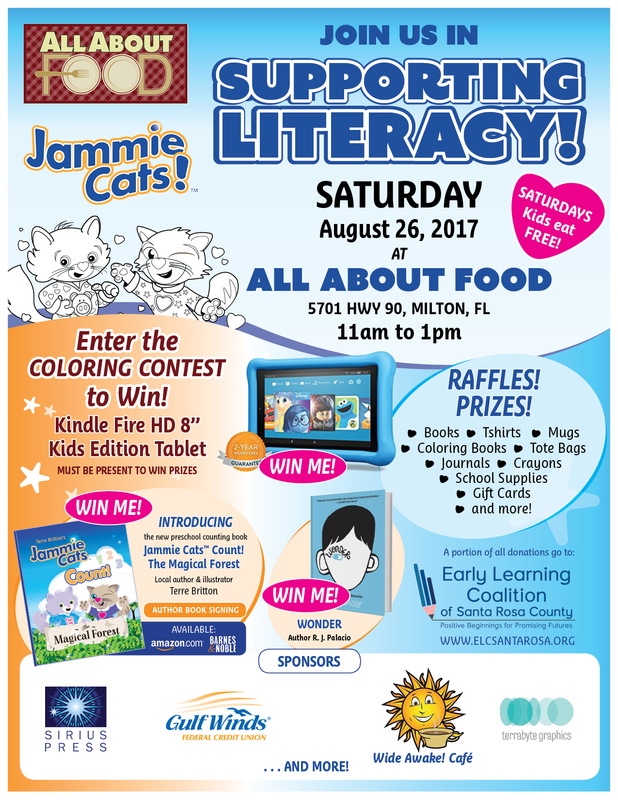 A portion of all donations will be going to Early Learning Coalition of Santa Rosa County.
. . . and to all the friends, family, and local shop-owners that helped distribute and share the event details! 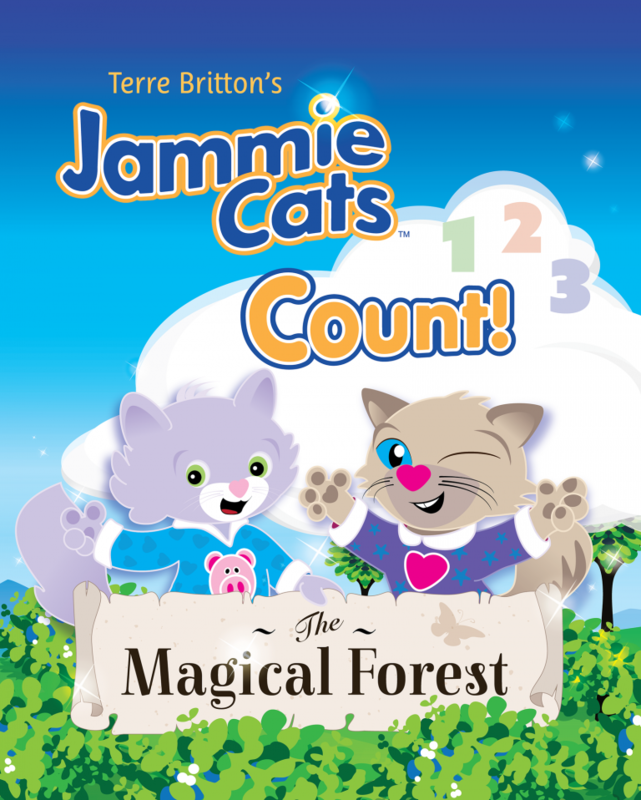 Follow the imaginative and lovable Jammie Cats™, Snoozy and Wink, as they boldly run into a full-color magical forest and encounter kooky animals that help them count from 1 to 10. 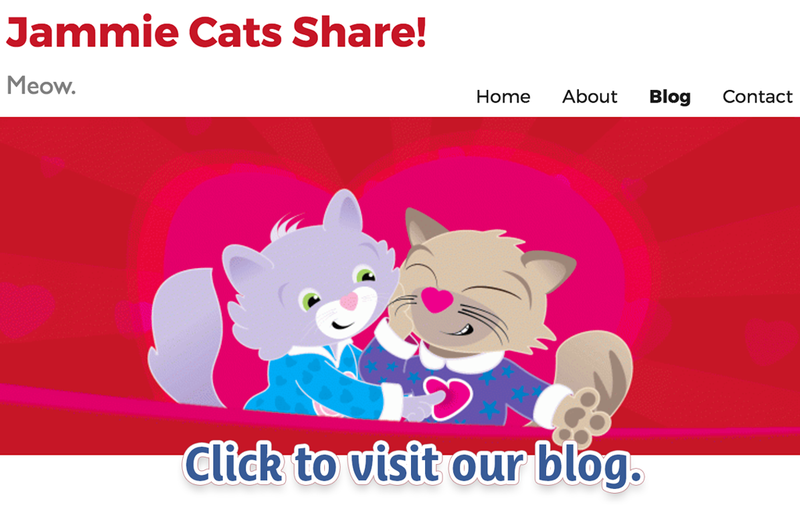 Click HERE to check out our FREE Downloads! #1 Taking catnaps is the purr-fect pastime! #3 We always wear our jammies, so we never miss a catnap.